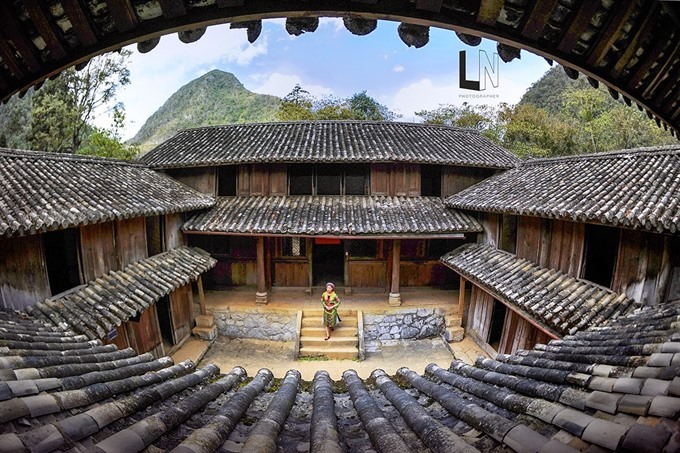 HÀ NỘI — Government leaders have decided the right to possess Mông King’s Palace in Đồng Văn District, the northern province of Hà Giang, belongs to the legal heirs of the Vương family clan. The decision, signed by Deputy Prime Minister Trương Hòa Bình, confirmed that the mansion, a national cultural and architectural heritage site since 1993, along with the associated property and land, belongs to the descendants of the Vương family. The decision also states that local authorities were wrong to give a land use certificate and property rights to Đồng Văn District’s Culture and Information Department. The certificate has been withdrawn. The Deputy Prime Minister has assigned Hà Giang Province’s authorities to co-ordinate with the Ministry of Natural Resources and Environment and the Ministry of Justice to work with the Vương family to examine the boundaries of the mansion and grant the proper land use and property ownership certificates according to the law. Hà Giang People’s Committee has ordered local agencies to work with the family to manage the site according to the Law of Heritage. On July 21, Vương Duy Bảo, a descendant of Mông King, sent a letter to Prime Minister Nguyễn Xuân Phúc to ask local authorities to return the land at the 100-year-old mansion. Prime Minister Phúc expressed his disapproval of the Hà Giang People’s Committee’s decision to grant a land use permit to Đồng Văn District’s Culture and Information Department in 2012. Bảo said the family was not informed that the palace was recognised as a national cultural and architectural heritage site in 1993 until officials asked them to move out so they could turn it into a museum in 2002. Even though they were given assurances their house would not be used by the public, the provincial People’s Committee still awarded the use permit to the culture department. On August 16, Deputy Prime Minister Trương Hòa Bình asked the committee and the Ministry of Culture, Sports and Tourism to report the problem and resolve Bảo’s petition. The website of the Việt Nam National Administration of Tourism introduces Vương Family’s Palace as the residence of Vương Chính Đức (1865-1947), who used to be regarded as a Mèo (Mông) King governing the Đồng Văn Plateau region. The palace has an area of over 1,000sq.m, and was built during eight years in the late 19th and early 20th centuries. Most building workers are local Mông people and Hui people from Yunnan (China). In the front of the palace, there is a gate made of stone. Surrounding the palace are two stone walls about 60 centimetres thick and 2.5 to three metres high. The palace includes four transversal houses and six lengthwise houses – all with two storeys for a total of 64 rooms. The houses were built in the style of the Qing Dynasty (China). The walls are made of stone with a wooden floor, pillars and columns. The roof is made of tiles and the front of the roof is made with tube tiles decorated with the “longevity” character. In the main house, a horizontal lacquered board is displayed, decorated with scripts saying “a politically stable border area” (Biên Chính Khả Phong), presented by King Khải Định (1885-1925) to the Vương Family in 1913. Inside the palace, there is a kitchen, cisterns, storehouses, weapons and a stone bathtub.